Closed Road Sportives are special, very special. They are a unique way to experience cycling in the UK on public roads, free of traffic, except for the thousands of fellow cyclists all enjoying the safe, secure environment of the sport we love. I’ve talked about Sportives before, many of which are in Cheshire, Wirral & Merseyside. I also detailed my first closed road sportive on the inaugural Velo Birmingham, and after a break last year, is back in 2019. Whilst it’s not every cyclists cup-of-tea, I really like Sportives. I enjoy cycling with other cyclists and exploring roads that I perhaps wouldn’t necessary cycle on. Closed Road Sportives are something special though. They feel at a much higher level than a standard cycling event. It’s a combination of several factors, the sheer event is much bigger, a noticeable increase in the number of cyclists – Velo Birmingham was 15,000 cyclists – plus the distances tend to be greater (many are 100-miles) so the pre-event training is more considered and then there is of course the obvious fact that you get to cycle on closed roads. The current closed road events are listed here and as you can see, there are a number in Scotland, as well as in England. This is primarily due to the difficulty the local authorities have in obtaining buy-in from the community as a whole when seeking to close the roads. To non-cyclists, local residents and business owners, the disruption caused is greater than the perceived gain. Previous Closed Road Sportives have closed due to lack of support or interest. These include the Great Manchester Cycle, Etape Pennines, Etape Cymru, Etape Mercia, Etape Eryri, Etape Royale and the previously popular Velothon Wales (or Velo Wales). The loss of the Velothon is a real shame as it was thoroughly enjoyable and offered a good challenge across its 100-mile route. If you enjoy Sportives but haven’t yet experienced a Closed Road Sportive, I’d highly recommend you try it this year but be warned, they’re very popular so book early to avoid missing out. Details of each Sportive are shown below, including route maps, elevation profiles, dates, links to GPS, GPX, TCX files and the official websites for each Sportive. The Etape Loch Ness Sportive kicks off the closed road sportive season in style in late April. Riders cycle alongside the iconic Loch Ness on both the north and south banks as they both leave and return to Inverness on traffic free closed roads. The Etape Loch Ness follows a 66-mile (106km) route, starting at Bught Park in Inverness and finishing by Eden Court on Bishops Road in Inverness city centre. Once riders have left Inverness, the route follows the A82 south-west to Fort Augustus, passing through the villages of Drumnadrochit and Invermoriston, arriving in Fort Augustus where it crosses the historic Caledonian Canal. 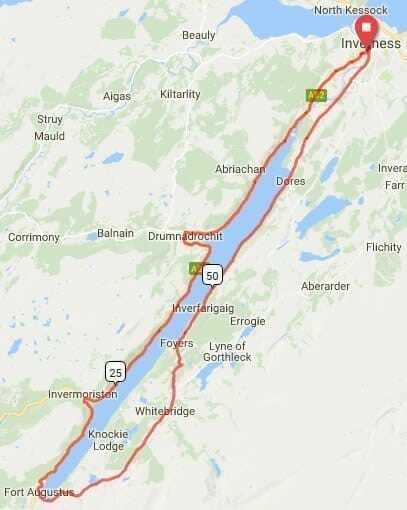 The route then starts its return journey to Inverness via South Loch Ness on the B862/B852, all on beautiful scenic closed roads. Bliss. There is a timed King of the Mountain section with a 5m (9km) climb gaining 1,250ft (380m) in elevation, equating to a reasonable average gradient, although it does reach 12% at times. Like with many of the events on this page, entry for the Etape Loch Ness is closed pretty early as it is a popular event. However, charity places are often available if you are willing to raise sponsorship money. 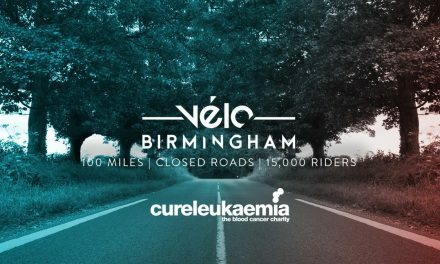 Over 45,000 cyclists applied for the inaugural Velo Birmingham and 15,000 were lucky enough to experience a very special closed road sportive in the West Midlands. This was a really good event and despite them running out of food at the feed stations in 2017, I will be riding this year’s Velo Birmingham in May. It’s a 100 mile route and covers around 5,300ft (1600m) of climbing, the only real hills come after 25km and 71km. The first comes after Kingsbury as you travel towards Atherstone and Bentley Park Wood. The gradient peaks, for a moment, at 6% but the incline is just 110m over 7km. The second is once you’ve left Coventry and pass Coundon Hall Park and Brownshill Green. This incline is just 80m and is over 9km so nothing to worry about on either one. In conclusion, I’d recommend this sportive. Over 45,000 cyclists applied for the inaugural Velo Birmingham Sportive and 15,000 were lucky enough to experience a very special closed road sportive in the West Midlands. The Etape Caledonia is the second closed road event in the year and also the second one in Scotland. Around 5,000 cyclists participate each year and has proved sufficiently popular that it is another sell-out sportive, despite the £75 cost. Etape Caledonia offers cyclists the chance to ride on a closed road 81-mile route through some stunning Scottish countryside, including rolling hills, sections of forest and iconic Scottish Lochs. The route heads west out of Pitlochry and through the scenic Tay Forest Park before taking cyclists along the banks of Loch Rannoch and onto Bridge of Gaur. Once you reach this point, you loop back on yourself, heading east towards Tempar and admiring the Loch from the south side. 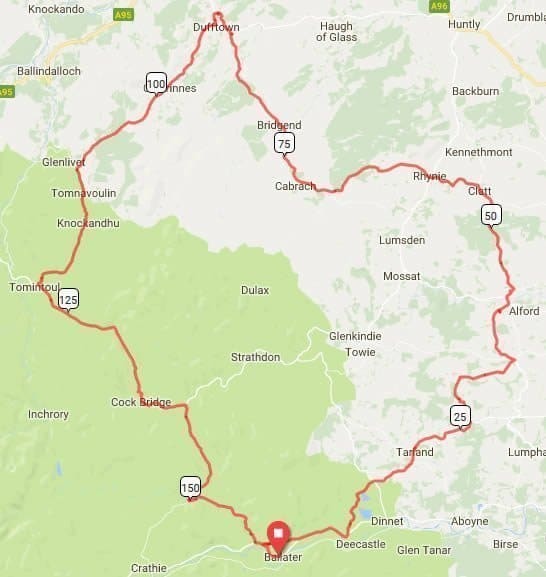 The route then heads south towards Loch Tay and the southern part of Tay Forest Park before taking riders east, then north and back to Pitlochry. The route elevation shows climbing of 4,300ft but looking at the profile, other than one climb, it’s hard to see where there’s any climbing so it pretty much looks to be a gentle day out. Idyllic Scottish hills, lochs and forests, all without a car in-sight. Cambridge is synonymous with cycling, with around 18,000 people cycling to work and even more using a bike as their preferred mode of transport. It is therefore hardly surprising to see that Cambridge is home to one of just 3 Closed Road Sportives in England. At 79-miles, this is mid-distance for these types of Sportives but hills are pretty much non-existent on this route with just 1,925ft of elevation seen over the whole ride, making it perfect for cyclists looking to challenge themselves on distance but without the added effort of hills. Starting in Cambridge city centre, the route heads west to Chesterton for a short time and then due south towards Hamerton Zoo Park, taking in Great Gidding and Winwick. Shortly after this, around Alconbury Hill, riders get to enjoy their first feed station. More experienced cyclists may opt to miss this first stop as it’s just 20-miles into the 79-mile route. The second feed station comes after 40-mile at Ramsey Mereside and the third, and final, pit stop can be found at Pondersbridge, around the 60-mile mark. Despite this being a flat sportive, it looks to be a good route through Cambridgeshire and joining 8,000 cyclists on closed roads can’t be a bad way to spend a day. Cambridgeshire is renowned for being flat so climbing isn’t going to be a challenge on this sportive. 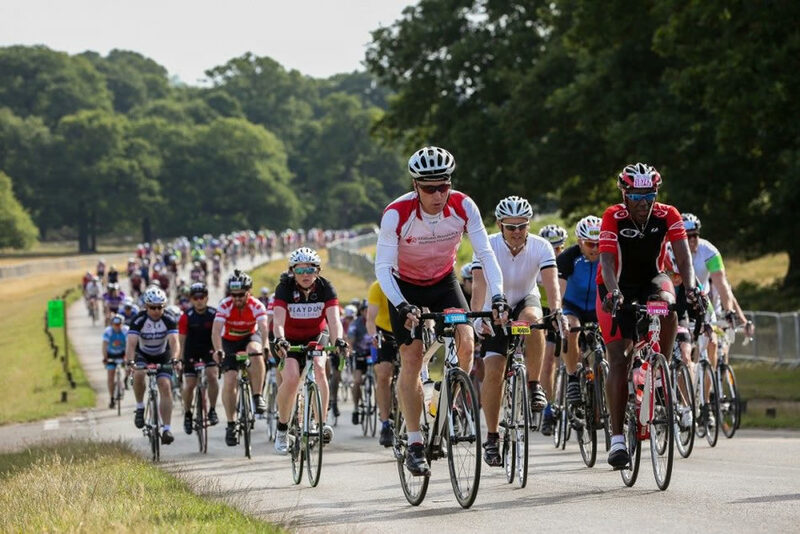 The Prudential Ride London-Surrey 100 is probably the most prestigious closed road sportive in the UK, with 25,000 cyclists taking part each year, although more than 80,000 apply. This event is a legacy of the London Olympics and has grown in stature since 2012 to what is now a very over subscribed festival of cycling. Cyclists start from the Queen Elizabeth Olympic Park in East London and head west, through the heart of London and all its splendor. If you are lucky enough to be successful in the annual ballot, you’ll get to cycle past some iconic London landmarks, including Harrods, the Natural History Museum and Earl’s Court before heading west out of the City. The route leaves Knightsbridge for Hammersmith, then Chiswick and Richmond. For those that know London, this part of the course is as flat as flat can be so easy cycling so far. Once past Kingston-upon-Thames and Hampton Court, cyclists head for the Surrey hills, which start around the 46-mile mark. There’s plenty of stunning Surrey countryside to see but this very much depends on your fitness as you will start to climb as you cycle past Newlands Corner, Abinger Hammer and Holmbury St Mary. It’s at this point you find one of only two real climbing challenges of the route, Leith Hill – the other being and Box Hill. Leith Hill isn’t long, around 1.5 miles but you will see a maximum gradient of around 10%. However, once over the summit, there’s an 8-mile section, all of which is downhill. At this point, you’ll find yourself in Dorking and at the foot of the Box Hill climbing section. Box Hill is again short at just 1.5 mile but the gradients are easier, around 5% at most. From here it’s a casual 30m cycle back to the finish, through Leatherhead, past Sandown Race Course, through Kingston again and onto Wimbledon and Fulham. From here it’s a short cycle along the banks of the River Thames and back to the Olympic Park and the applauding well-wishers that line the route. Ride London is truly an iconic event in an iconic city and one that I am very much hoping to be part of this year. The Prudential Ride London-Surrey 100 is probably the most prestigious closed road sportive in the UK, with 25,000 cyclists taking part each year. Velo North is another new Sportive from the Organisers behind other closed road events such as Velo Birmingham and Velo South. Whilst Velo North is their third such Sportive, only one event has actually taken place, the inaugural Velo Birmingham in 2017, as Velo South 2018 was cancelled due to poor weather and the 2018 Velo Birmingham did not take place. The official website quotes there being space for 15,000 cyclists but one week after entries opened, spaces are still available. The Tour o the Borders sportive is the fourth event of this kind in Scotland and unlike the Etape series, it takes place in late Summer / early Autumn. Despite being in Scotland, it has less climbing than the other Scottish events as it’s situated in the Lowlands of Scotland, better known as the Borders. There are two routes to choose from, a great short route for beginners of 56-miles or a slightly longer 74-mile circuit. The short route has just 2,900ft of climbing, whereas the long route has 4,700ft. Past participants have rated this sportive highly and despite the lower number of cyclists (1,500) each year, it is becoming more popular. There are feed stations in two locations, although riders doing the long route visit the second feed station twice. The first pit stop comes after just 22m and the second after 40m, so perhaps the first stop for more experienced cyclists. Those doing the 74m route will pass this feed station again after 60 miles so there’s unlikely any excuse for not stocking up on food and drink. Whilst the long route covers less than 5,000ft elevation, there are four distinct climbs. The maximum gradients on these climbs are around 11%, 5%, 7% and maybe 5% on the last one. If you click through to the route map from the above link, you’ll see the elevation map profile. I really like the look of the Sportive and given that it’s another closed road event, it’s one that I’m looking into doing later this year, but it will depend on the final date of Velo Birmingham, which is closer to home so easier to travel to. Two wonderful routes to choose from in this stunning part of Scotland, organised by local Borders cyclists. The Velo South is a brand new Sportive from the Organisers behind Velo Birmingham. The 2018 event was cancelled due to poor weather conditions and despite 2019 seeing the return of Velo Birmingham, Velo South will not return until 2020. There are very few details available at this point but we do know that it will be a 100m (160km) route through the West Sussex countryside. The official website (see above) list this being for 15,000 cyclists and given that it is in the South-East, I suspect that they’ll achieve this number. Route Maps, GPX & TCX files, elevations, feed stations, entry price etc will all be available just as soon as we hear more. What is a Closed Road Sportive? A Closed Road Sportive is a cycling event that is organised on public roads that are closed to all unauthorised traffic. The local Highways Authority seeks legal authorisation and if granted, formally approves the closed road event. It would then be illegal for unauthorised road users to use the approved roads. What is the Best Closed Road Sportive in the UK? This is impossible to answer as there are so many factors to consider. For some cyclists, distance and climbing are the key to a success sportive but to others, cycling through historic city centres alongside well-known monuments are the primary reason for choosing a particular event. Where are the UK Closed Road Sportives? How much do Closed Road Sportives cost? This year, the cheapest closed road sportive is Velo Wales at £62 but this contrasts to the most expensive, which is £85 for the Tour of Cambridgeshire. What distance do Closed Road Sportives cover? Distances range from just 37-miles for the short route on the Velothon Wales or 56-miles for the short route on the Tour o the Borders to 100-miles for Ride London, Velo Birmingham and Etape Royale. What elevation gains do the Closed Road Sportives climb? The Sportive with the least amount of climbing is unsurprisingly the Tour of Cambridgeshire which climbs just 1,925ft over the 79m route. On the other hand, the 100m Etape Royale in Aberdeenshire climbs a whopping 9,800ft so that’s one for the more experienced cyclist. Sportives come and go, for a number of reasons. Some lose the support of the organisers, whether this be commercial support or that of the numerous volunteers that go into making these cycling events a success, and some lose the support of the local community, which is quite common for these large closed road events. I’ve listed previous Sportives below as I want to keep a record of these sportives, especially the ones I’ve completed. I also want to utilise the routes as many have good local cycle routes which can be used regardless of the sportive taking part. Whilst cycling on Cardiff’s closed roads and the delights of South Wales countryside are worth the entry fee alone, this Sportive is all about two climbs; The Tumble and Caerphilly Mountain. The Tumble comes after 50-miles and is a well-known climb in South Wales. It’s quite short at 6km but has an average gradient of 10% and a maximum of 15%. Caerphilly Mountain comes around the 78-mile mark and is shorter at just 1.5km but has a maximum gradient of 22% (average gradient 9%) so you may want to reserve some energy for the end of this ride. From 2018 there are three routes; a short 60km (37m) which climbs just 1,700ft as it misses out the two big climbs, a medium route of 125km (78m) that climbs 4,600ft and the long route which climbs 5,900ft over 140km (87m). I’ll be doing the Velothon Wales for the first time this year (140km route) and I’m really looking forward to tackling the two climbs, neither of which are more challenging than the Velo Birmingham climbs I did last year. This looks to be a well organised event and the official website has plenty of information in it’s FAQs section. Post ride report to follow. The Etape Royale is the only 100-mile Closed Road Sportive in Scotland and at 9,800ft of climbing, it is also one of the most challenging sportives in the UK. Coming just one week after the Etape Caledonia, this is certainly a great opportunity for cyclists to achieve some excellent closed road cycling. For cyclists living outside of Scotland, Aberdeenshire is possibly too far to travel but if you made a holiday out of the trip, you could experience two closed road sportives within a week. Outstanding. There are two routes to choose from – 50m or 100m – but both are somewhat challenging at 4,000ft and 9,800ft of climbing. This event is in the Scottish Highlands to a bit of climbing is perhaps to be expected. The Etape Royale is probably the most challenging of all the closed road sportives but that’s offset by outstanding views of the Cairngorms National Park, Moray and Aberdeenshire. This route boasts a ski resort, royal estates, whisky distilleries and pure Scottish beauty. The Etape Royale is the only 100 mile Closed Road Sportive in Scotland. Summary These Closed Road Sportives are rated for difficulty on distance and climbing. The ratings are based on a cyclist who is reasonably fit and has participated in several previous sportives. The overall rating is the average for all of these cycling events.